RV Rental in Missouri: Which RV Should You Book? Considering RV rental in Missouri? One of the first things you’ll need to think about is which RV will work best for your upcoming trip. Consider the variables. Are you going to rent an RV to camp in or are you looking for a trailer rental to go long distances? Maybe you want a highway cruiser that can handle long miles and an extended trip? Whatever the case may be, choosing the right camper rental is critical for a good trip. Class A: Class A RVs are the Hilton of on-the-road travel. Designed to offer plenty of interior room to accommodate large groups, Class A RVs boast the most amenities, the most sleeping room, and the most comfort. While they’re generally the most expensive rental options, they’re well worth it for people who don’t want to sacrifice comfort on their upcoming trip. Class B and C: More affordable than Class A RVs but no less comfortable, Class B and C RVs tend to be slightly smaller and offer fewer features than larger options. Ideal for small families or groups, these are a budget-friendly way to travel through Missouri. Travel Trailers: If you’re heading out on a long trip, you’ll want to consider travel trailer rental. 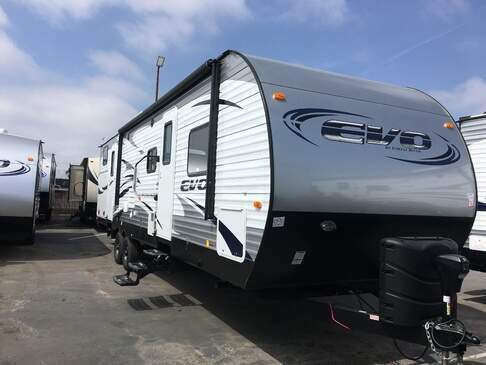 Designed to eat up highway miles while keeping you comfortable and in-budget, travel trailers are smaller than Class A, B, and C RVs, and designed for people who want to adventure fully. The amenities are fewer, but they’re ideal for off-road camping. Vans: Vans can go where no RV has gone before. A slightly larger version of a personal vehicle, Vans are the perfect way to see the sights in comfort and style. While they don’t offer as many amenities as Class A, B, or C RVs or travel trailers, they’re still a comfortable and versatile option that appeals to many travelers. While choosing between these various RV types can feel dizzying, most people know what they want when they see it. For best results, consider visiting your local RV rental place and getting into each type of RV. You’ll get a feel for the interior and exterior size of each model, as well as their various amenities and offerings. Which RV Should You Choose? 1. How Many People Are You Bringing? If you’re bringing four kids and the grandparents, you’ve got a large group that will require an ample amount of sleeping space and interior room. If it’s just you and your sweetheart, though, you have the option of choosing a smaller RV with less interior space. Not only will this keep your costs down but it will also make your upcoming trip more intimate and cozy. When deciding which RV rental to go with, the first step is always to consider the size of your group. Larger groups will fit well in Class A, B, or C RVs, while smaller groups can take advantage of any of the RV rental options available. If you’re camping in state forest campgrounds, you may be more interested in a travel trailer than a large Class A RV. Not only is a trailer going to be more maneuverable, but it will also allow you more unfettered access to the campsites you’re interested in. If you’re cruising highways and staying in RV parks, however, a large Class A RV will work just fine for your trip. Ask your RV rental specialist about the RV options available to you, and which will work best for your upcoming itinerary. 3. How Long Will You be Gone? Due both to cost and flexibility, travel trailers and vans are typically recommended for long, extended trips. While Class A, B, and C RVs can be great for short trips, they’re clunky and large, which means they can be a bit overwhelming for people who intend to travel for weeks or months. Just like considering the size of your group is critical to picking the right RV, figuring out how far your travels will take you is a smart way to ensure you make the right RV choice. 4. Which Amenities Matter to You? Modern RVs come with a wide selection of amenities. Depending on your preferences, you can choose one that offers a kitchenette, bathroom, and refrigerator. Some even have satellite navigation and air conditioning. Consider which amenities will make your trip more comfortable before you leave, and then look for an RV rental that offers these things. If you’re not sure which amenities you need, talk to an RV rental expert before you leave. Once you’ve found the RV rental of your dreams, get busy exploring. Popular RV attractions in Missouri include Big Creek RV Park in Annapolis and Pin Oak RV Park just outside Villa Ridge. No matter what you do, be sure to catch the Gateway Arch, Silver Dollar City, and Table Rock Lake, which offers some of the best fishing in the state. If you’re planning to travel through Missouri, choosing the right RV rental is a major consideration. In addition to keeping your trip comfortable, safe, and in-budget, choosing the right RV rentals are also a fantastic way to bring your family, friends, or loved-ones together for an unforgettable trip that will truly last a lifetime. Today, RV rental is easier, less expensive, and more accessible than ever before, and Campanda is the trusted company to help make your dream of renting an RV a reality. To learn more about your RV rental options, or to find out how Campanda facilitates easy RV rental in Missouri, contact us today!